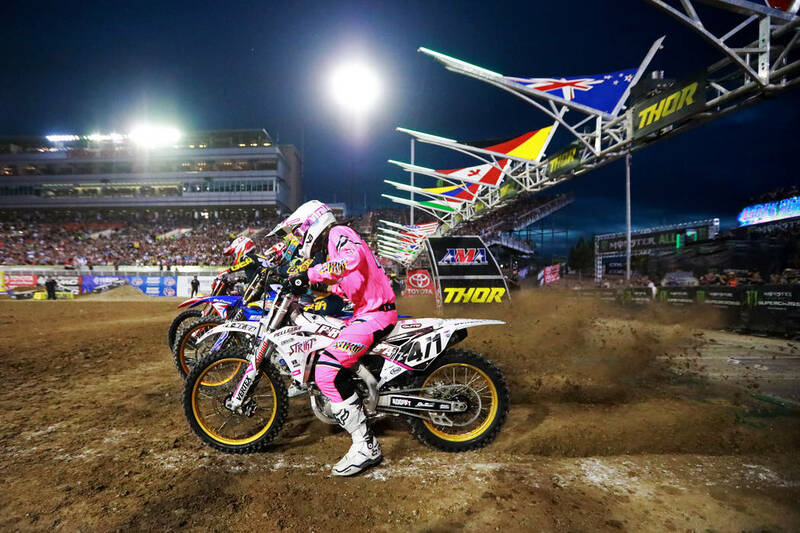 Needing to finish eighth or better to clinch his first 450SX class title, Jason Anderson flashed under the finish line tower fifth to add his name to the list of champions in front of a capacity crowd estimated at 35,000. 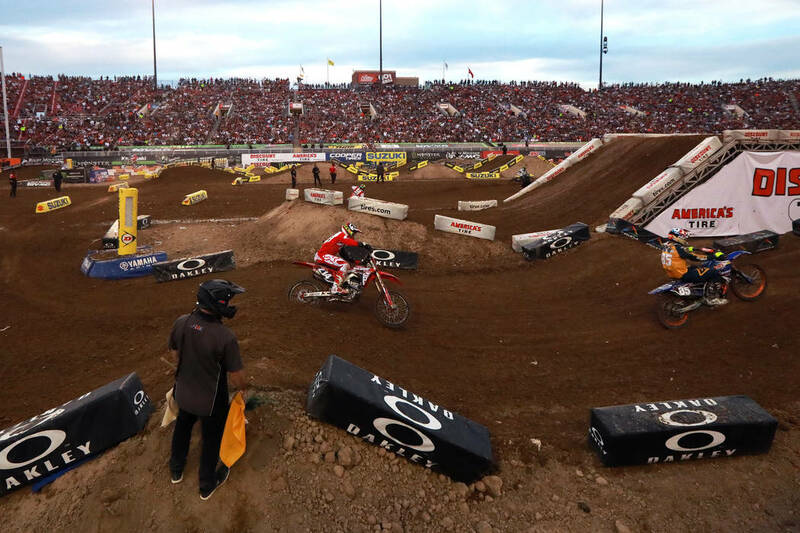 By crashing out of last week’s penultimate race of the season at Salt Lake City, champion-in-waiting Jason Anderson guaranteed there would be at least a modicum of drama heading into Saturday’s AMA Supercross season finale at Sam Boyd Stadium. 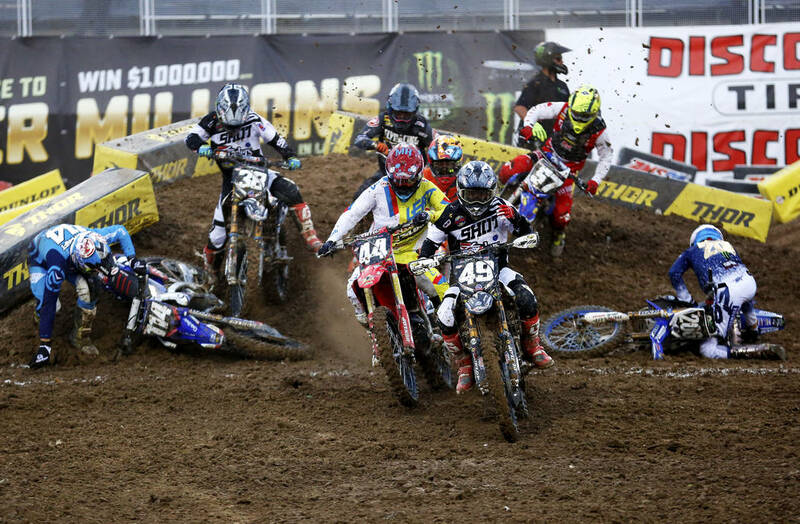 But it was only a modicum. 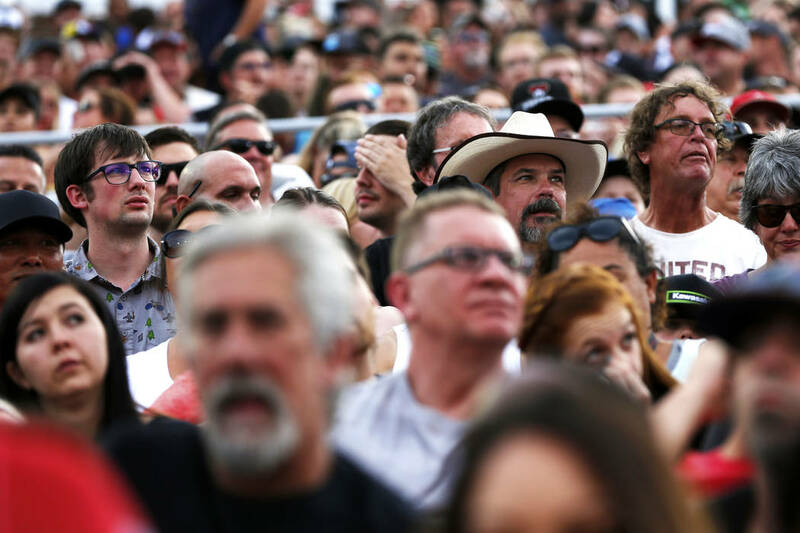 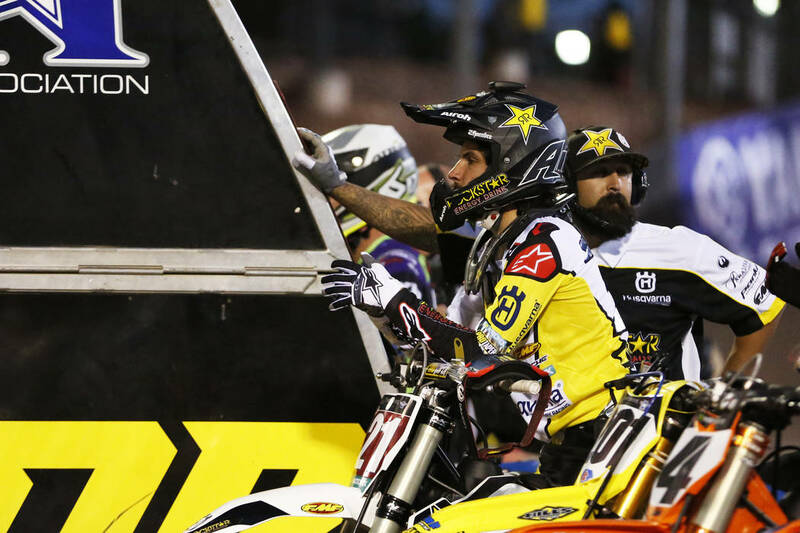 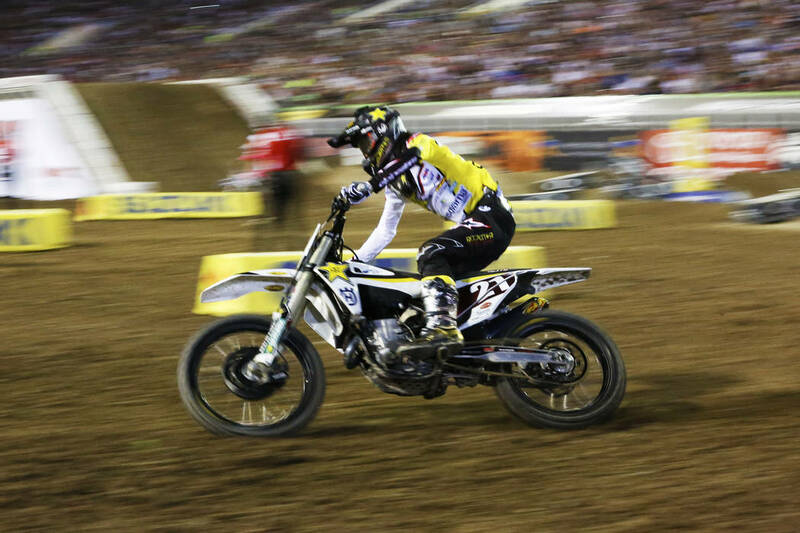 Needing to finish eighth or better to clinch his first 450SX class title, the 25-year-old New Mexican flashed under the finish line tower fifth on his Husqvarna dirt bike to add his name to the list of champions in front of a capacity crowd estimated at 35,000. 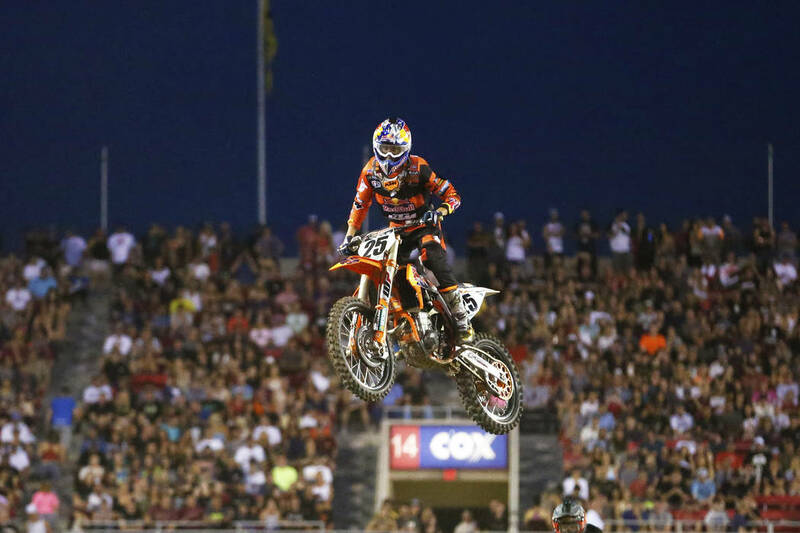 “I’ve been riding dirt bikes so long, so to win this championship is the most surreal moment of my life up to this point,” Anderson said on the victory platform. 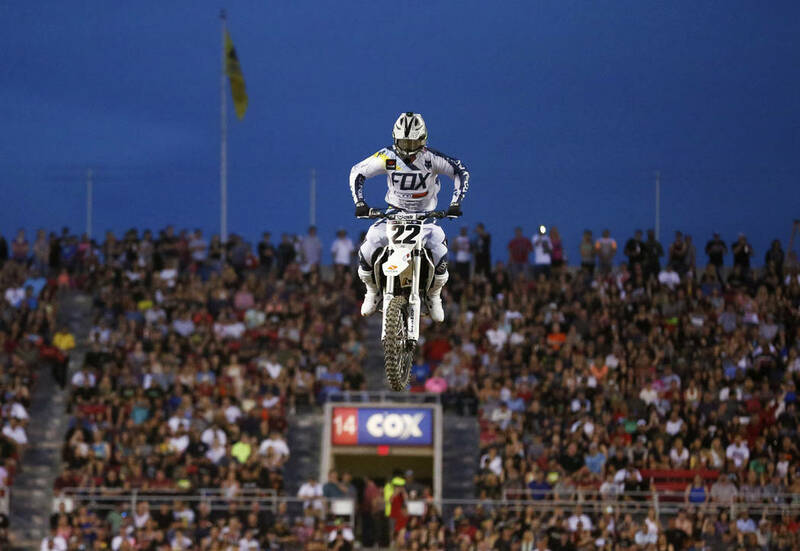 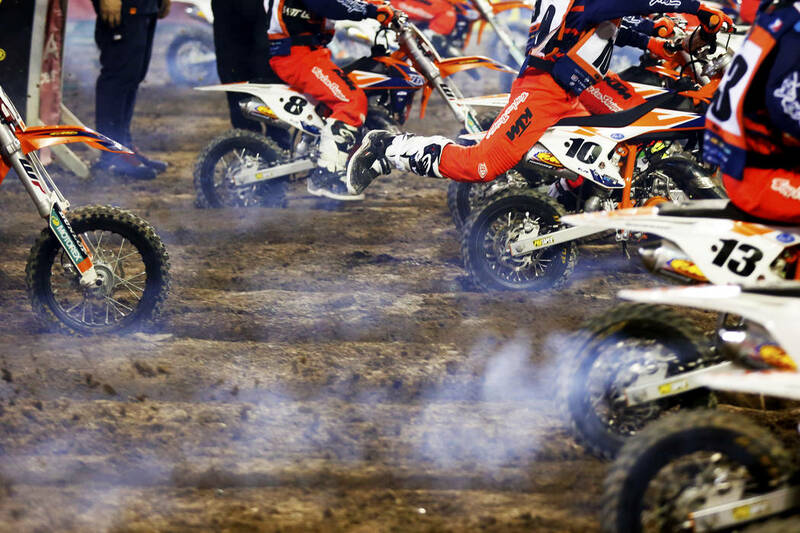 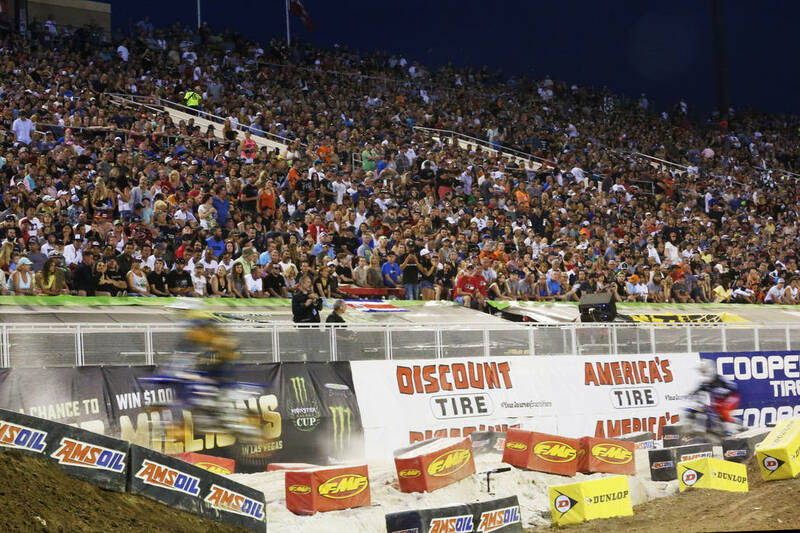 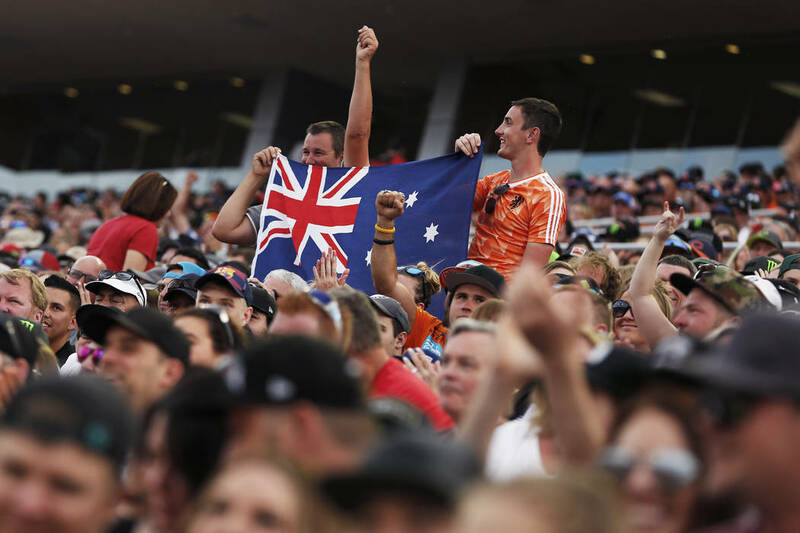 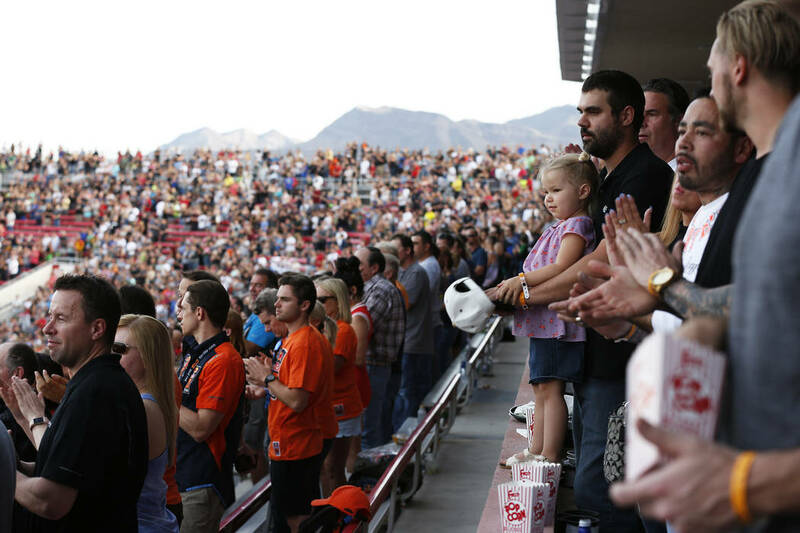 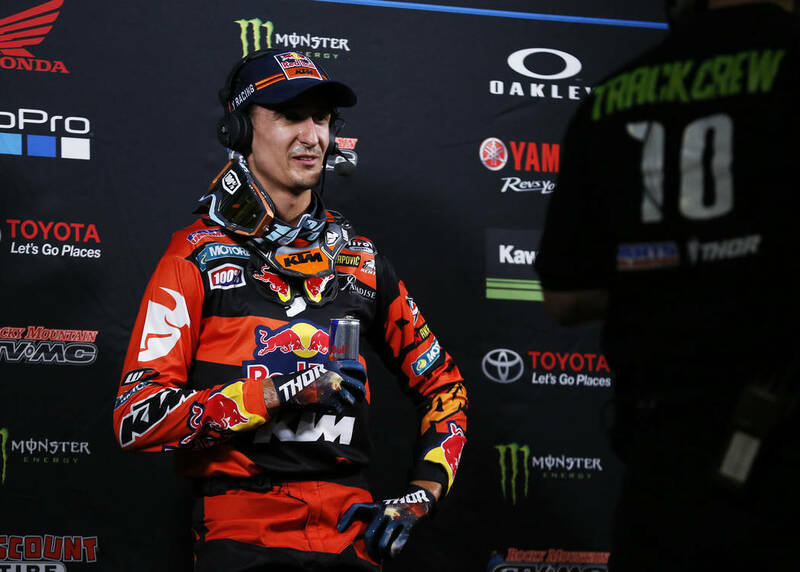 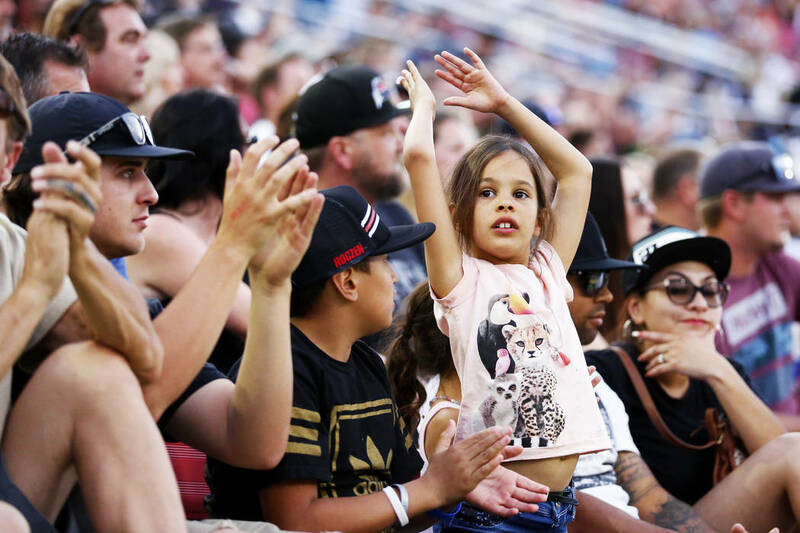 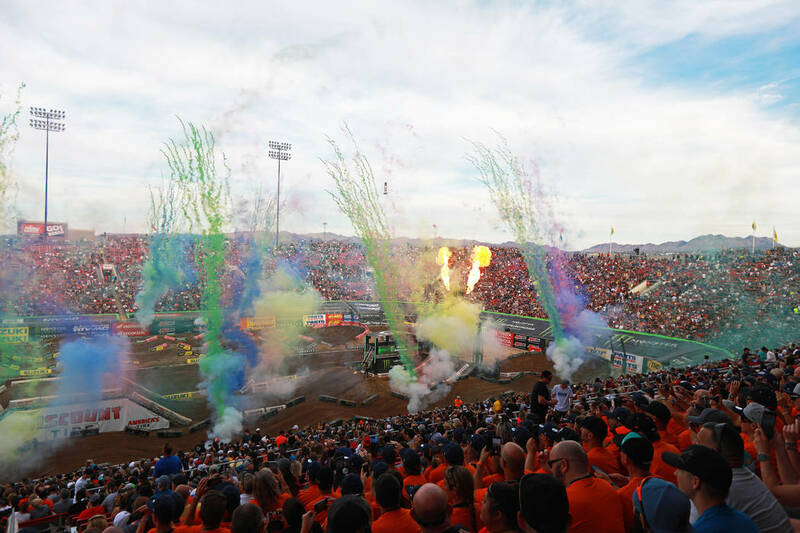 Frenchman Marvin Musquin, who earned a $1 million bonus by sweeping three main events in fall’s Monster Energy Cup at Sam Boyd, started the night 14 points behind Anderson and basically needed a victory and some additional misfortune to pass the points leader. 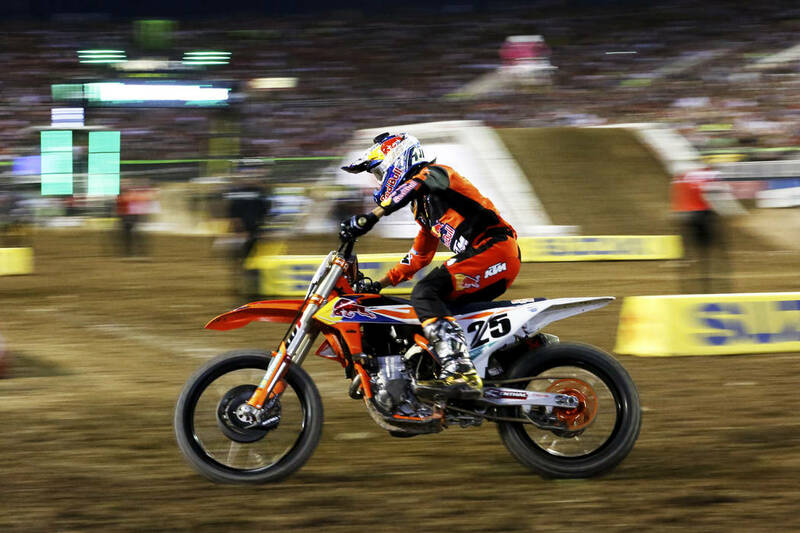 The KTM rider finished second in the race to rival Eli Tomac, who claimed his season-high eighth victory for Kawasaki. 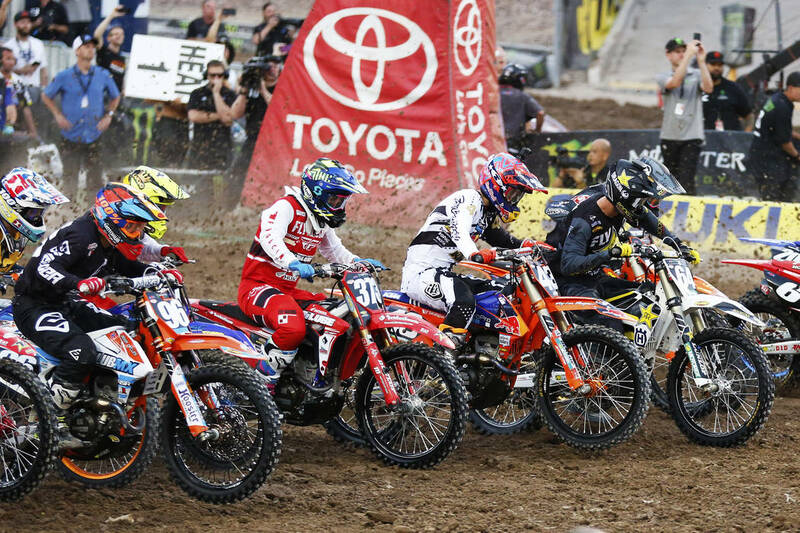 Musquin settled for second in the championship and Tomac third, the same positions they occupied coming into the final. 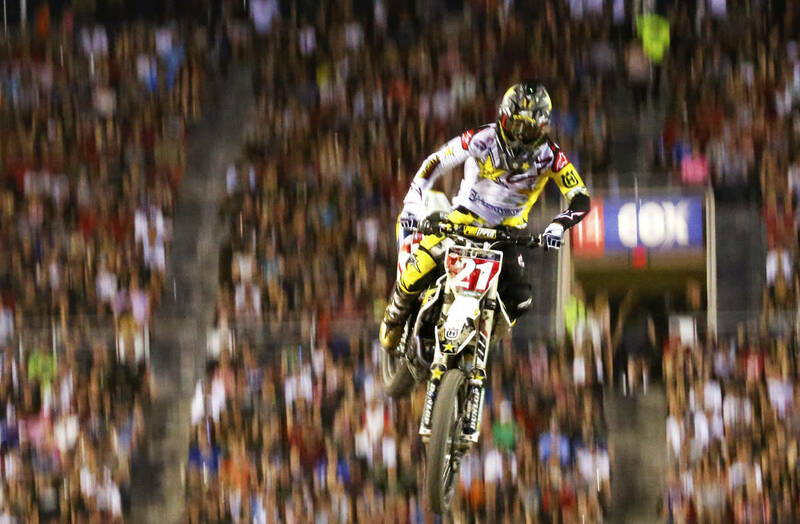 Tomac led all 21 laps of the timed final and took the checkered flag four seconds ahead of Musquin. 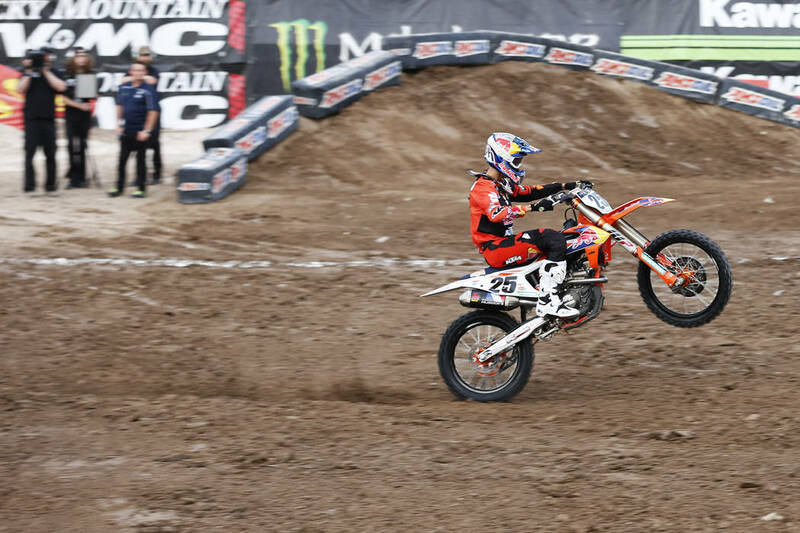 So for the first time since 2010, the supercross champion will not be named Ryan. 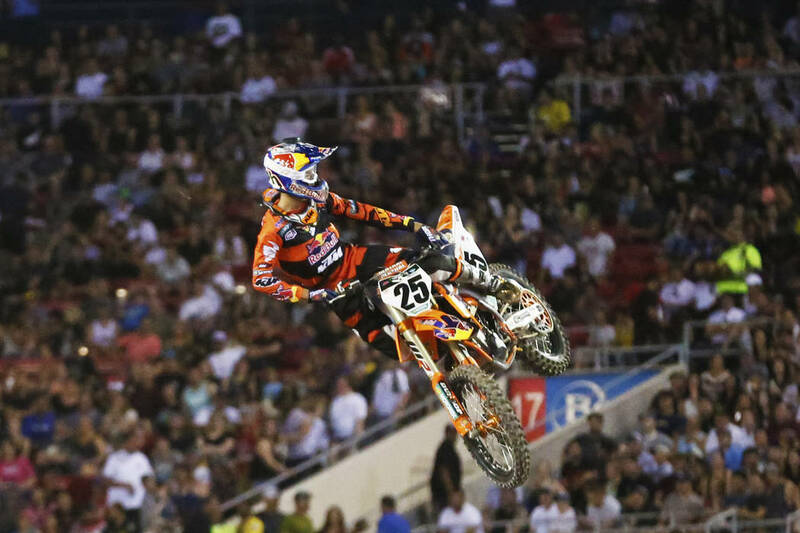 Ryan Dungey won the past three titles, Ryan Villopoto the four before that and Dungey the 2010 crown. 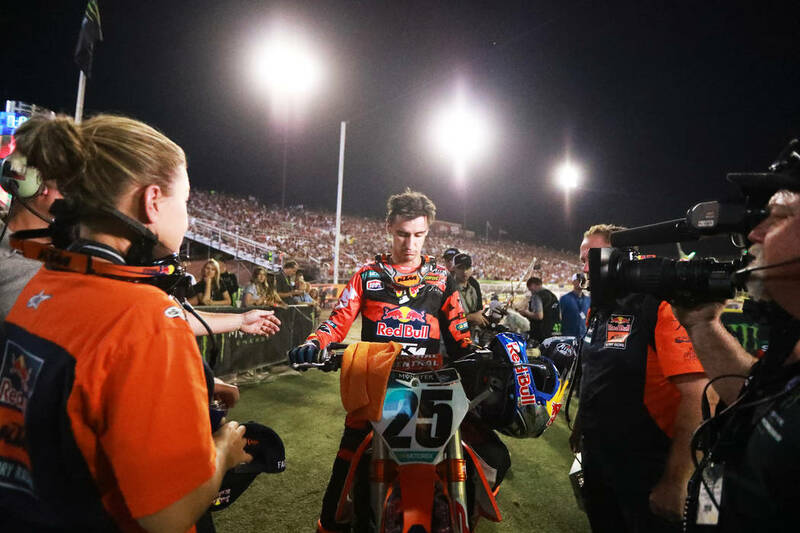 Dungey and Villopoto have since retired, leaving the gate open for riders such as Anderson, Musquin and Tomac to take control of the sport. 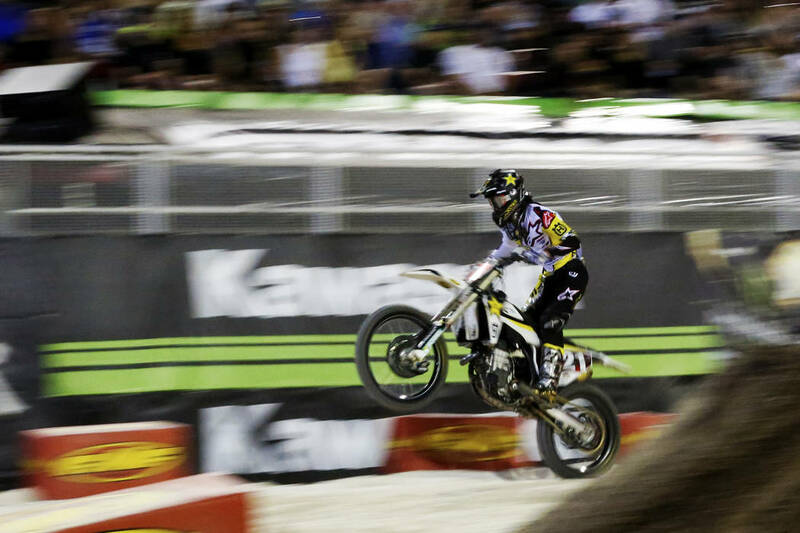 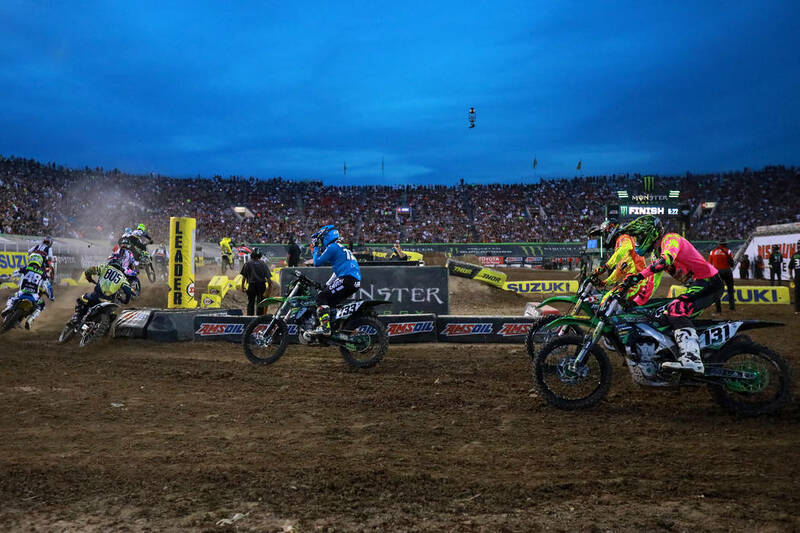 Adam Cianciarulo won the 250SX East-West Showdown, leading 10 of 16 laps aboard a Kawasaki. 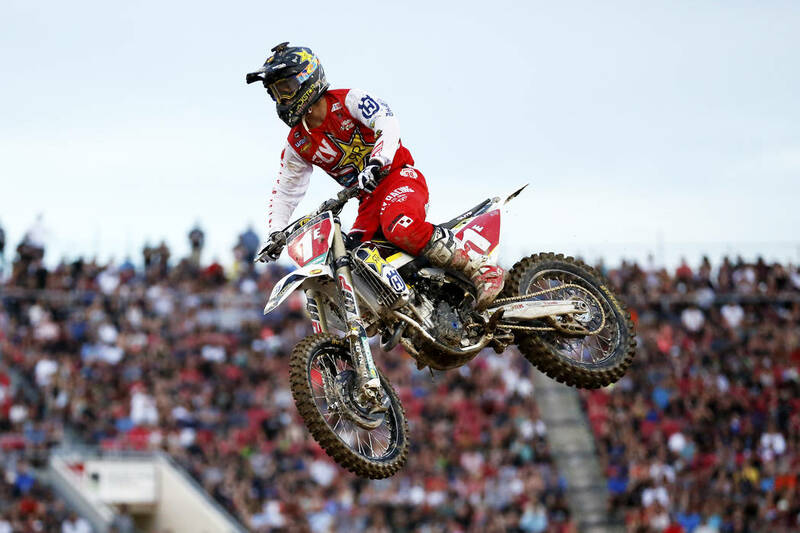 Aaron Plessinger nailed down the West season points championship for Yamaha with an eighth-place finish, and Husqvarna’s Zach Osborne ran seventh to clinch the East.